He was the son of John Barrett, for many years manager of Melland and Coward's bleaching and cotton establishment, Stockport. His father then became manager of Slater's Bleach Works in Bolton. The family moved afterwards to Radcliffe when Mr Barrett Snr became manager of Bealey & Co's bleachworks. Worked for R Holden and Son, Cleaning waste manufacturers, Town Hall Square, Bolton and Springfield Paper Mills, the Haulgh. He then went into business on own account as a cleaning waste and candlewick manufacturer in Platt Street. After a fire there he moved the business to Bridgeman Place. Represented Bradford Ward from 1879. Chairman of the Scavenging Committee, and was responsible for setting up the sewage works at Hacken, at a cost of £23,000. The works were capable of treating four million gallons of sewage daily and were looked upon as a model of their type, attracting delegations from other towns. He was presented with a silver salver subscribed for by members of the Sanitary Committee in appreciation of his services on the Committee. Member of the Board of Guardians and was senior Vice-Chairman and Chairman for four years, also Chairman of the Workhouse and Finance Committees and Chairman of the Assessment Committee of the Union. 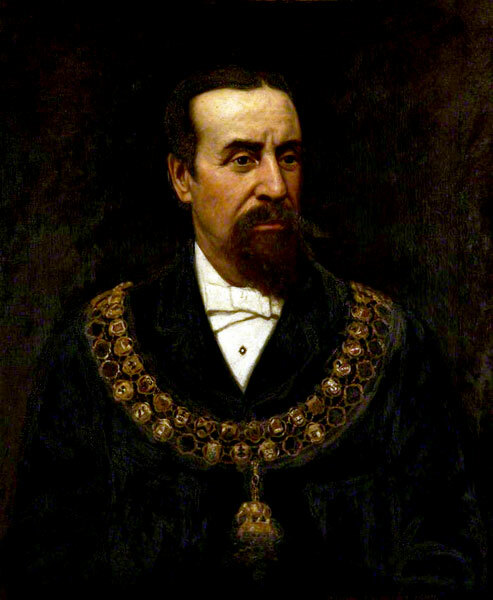 Prominent Freemason and a generous supporter of Masonic charities. Master of St George's Lodge, No 1723. 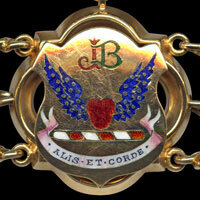 Connected with Antiquity Lodge, No 146 and described as a liberal supporter of Masonic charities. Wesleyan Methodist - he was a member of the Wesleyan Chapel, Bradshawgate. His wife, Mary, was Mayoress. "His tact and good generalship and suavity of manner will serve him in good stead in filling an office of such great responsibility as that of Mayor of Bolton during the next twelve months". (Bolton Journal and Guardian). 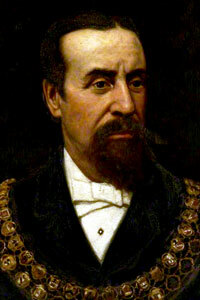 Oil portrait of John Barrett as Mayor of Bolton by the Bolton artist David Winder. John Barrett's link on the Mayor of Bolton's Chain of Office. Crest - On a wreath argent and gules a heart gules between two wings azure bezanty. 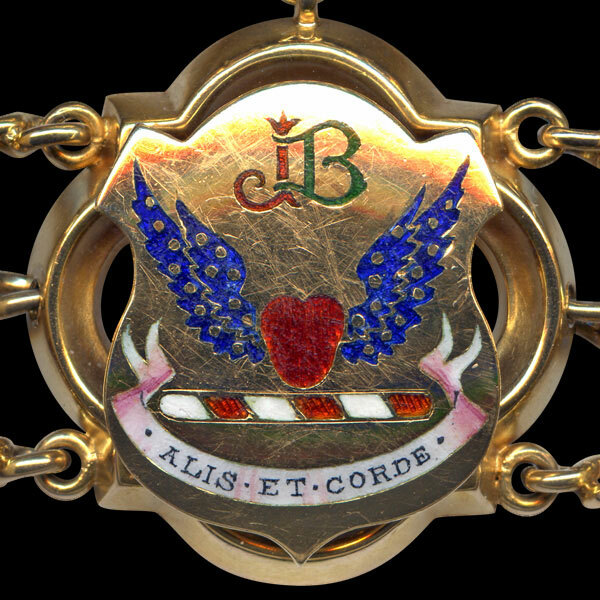 Motto = ALIS ET CORDE (With wings and heart). A version of the Irish Barrett arms but no connection known.